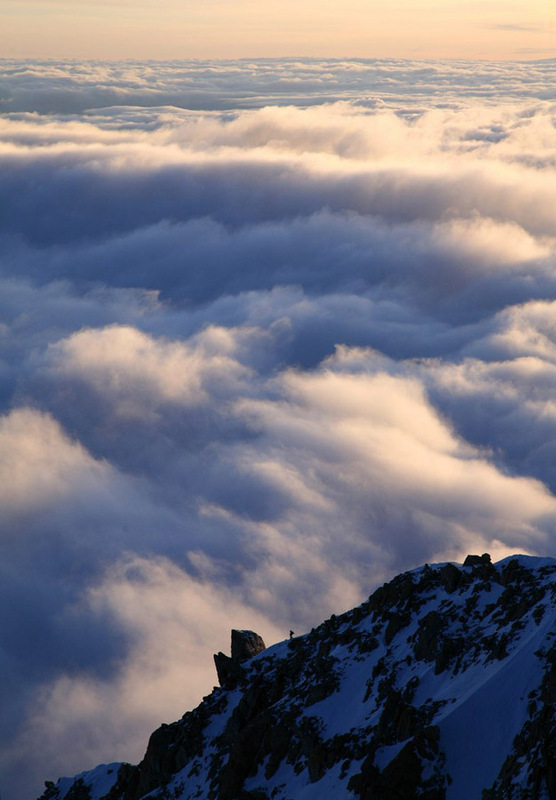 A solo mountaineer descends the West Buttress of Denali above a sea of clouds. The mountaineer is just above the rock called Washburn's thumb, around 16,800 feet elevation. Photo © copyright by Johnathan Ampersand Esper.